Throughout history women have used for the day of their wedding the same clothes of varied colors that they used daily, sometimes taking advantage of the moment to make new clothes. 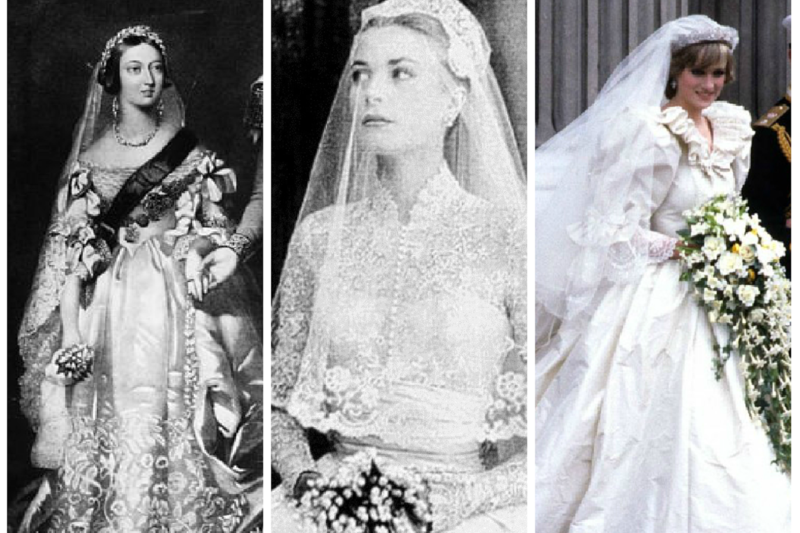 The classic wedding dress as we know it today, white and with embroidery or jewels, comes from the mid-nineteenth century, when Queen Victoria chose it for his wedding with Prince Albert of Saxony-Coburg-Gotha. Although during the last century the message of chastity and purity has been imposed on the white color, it had nothing to do with it. On the contrary, white symbolized wealth and ostentation. In fact, this color did not become popular until well into the twentieth century, and black, also linked to mourning, remained the tone chosen by the popular classes. In the 1950s, designers Cristóbal Balenciaga and Christian Dior revolutionized bridal fashion by relating it to haute couture. The dress of silk and lace that Grace Kelly wore in 1956 at her wedding with Prince Rainier III of Monaco was a before and after and luxury and glamor began to be part of the collective imagination at all levels of society. In 1981, Lady Di set the trend with her romantic Baroque dress, characterized by the lantern sleeves and the long tail. And the brides of these years began to lean towards a more conservative style represented by high collars and excessively decorated dresses. 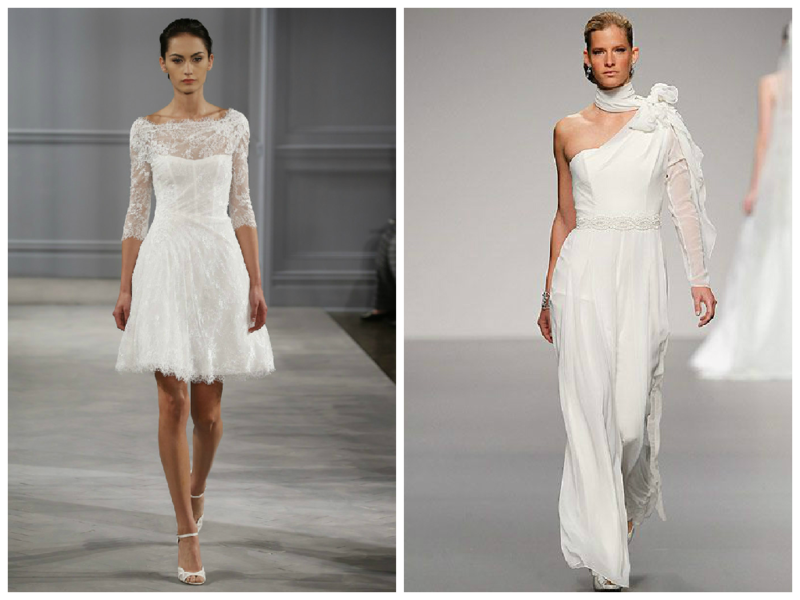 Nowadays, white -or its raw versions, champagne or ivory- is still the favorite color of brides, although other colors and other types of garments like short dresses or pants begin to appear. Fortunately, current bridal fashion forms a wonderful eclecticism valid for any taste or economic condition. 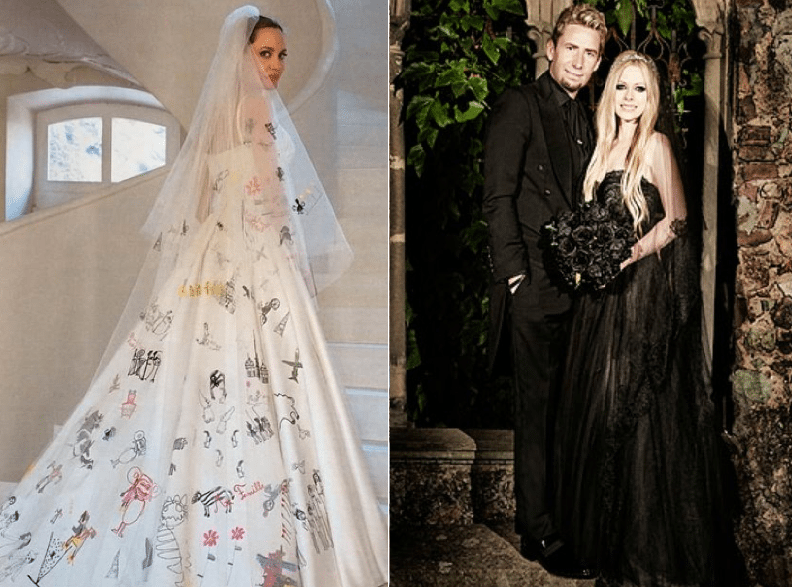 The striking dress of Angelina Jolie, decorated with drawings of her children, or the black color chosen by Avril Lavigne are a good example of that.